An article written for The Unheard Egypt on The Third Current revolutionaries (Not to be confused with the Third Square). 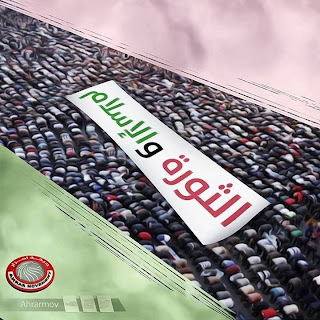 (Ahrar Movement Banner says: Against the military rule, the remnants of the old regime, and the Muslim Brotherhood policies). Among the many unheard voices in Egypt are the voices of those who are committed to the revolution since day one but for many reasons were silenced and sidelined from the conversation taking place in the wide political spectrum, and were also overlooked by the media. This happened mainly due to the ongoing polarization and forced dichotomies in the Egyptian political sphere. The “Third Current” Egyptian revolutionaries have always been there, it is not a new phenomenon in Egypt but this mobilization came back to the surface again from several grassroots initiatives due to the dramatic recent developments in Egypt especially with the military’s moves. But, who are the “Third Current” revolutionaries? Is there a need for having such a thing? The third current could be represented through any reasonable Egyptian thinking outside of the box, standing against the continuity of a 60+ years old military rule, against the collaboration with the figures of Mubarak regime, and critical of the Muslim Brotherhood but are not necessarily excited about bringing the Islamist vs. Secular dichotomy as an argument. This is also everyone who participated in the mobilizations since 2011 but are not affiliated with the different sides of the current highly polarized political conversation (Military vs MB, Secular vs. Islamist, Military and Mubarak’s remnants vs. MB). There was a need for such grassroots straightforward initiatives to make a distinction especially with the shocking positions of many well known “revolutionaries” and “revolutionary movements” that either started allying with the old regime Egypt revolted against openly, or are taking populist opportunistic positions while sending mixed signals about their actual positions because they want to maintain a specific image internationally and locally. In addition to that, with the claims that it’s mostly Pro-Morsi Pro-Muslim Brotherhood that are opposing the military rule now in a reactionary manner, another distinction needed to be made between the Pro-Morsi anti-military bulk and those who are critical of the Muslim Brotherhood while opposing to the military at the same time. Recently and especially after the statements made by the minister of defense Al Sisi, it has came to our attention that the number of such initiatives have increased dramatically all over the country and in different communities, both urban and non-urban and not only restricted to Cairo or the big cities. We have been following the emergence of different mobilizations in this direction closely and in this piece we will highlight the most recent updates from “Ahrar Movement”, a grassroots movement that’s been actively mobilizing in different occasions and is taking the lead in many direct action events in addition to working on building a framework that’s revolutionary and inspired from Islam at the same time. 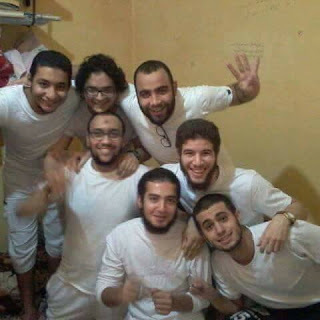 The western narrative sympathetic to secular leftists in Egypt ignore the presence of such groups. 1- “The media (whether on TV, press, or online) is trying its best to direct people into thinking of this situation as a dual equation, so you’re either with the Muslim Brotherhood and you call for bringing Morsi and the constitution back, or you’re with those who’re clapping for the military and Al Sisi lovers! 2-”Many revolutionaries know very well that the revolution is relapsing and that the military is killing whatever remained from freedom in our country but they are afraid of mobilizing against the military fearing that Morsi would be back. They must know that surrendering to the “2 options” solution is not a revolutionary act. -The revolution hasn't destroyed the country. -Islam hasn't ruled in Egypt to be blamed, the failure of some of the Islamists doesn't translate to a failure of Islam as a whole and as a governing model, and opposing these people is not equal to opposing Islam itself. B- The second angle is: Protests and decentralized mobilizing all over the country no matter how small it is. “We think of the true revolutionary as one that must be in peace with their religion, and we think that a Muslim who is truly religious will necessarily become revolutionary. Islam’s outlook and theory on change is at its foundations revolutionary by default. Islam does not accept conciliation with the oppressors, it refuses to work under any umbrella of corruption, and it does not put personal and individual interests ahead of the Islamic approach and its principals. Those Muslims who operate under the umbrellas of corruption, accept half-way solutions, abandon their foundational principles, adopt other ever-changing principles, raise false slogans that are not in accordance with their beliefs, and then claim to do all of this for Islam are harming nothing but Islam itself. The ends do not justify the means in Islam, both the ends and the means must be pure and in accordance to faith. On the other hand, those who consider Islam to be an opponent to the revolution, and think they can achieve real change through a revolution whose cultural framework comes from their enemies are deluded.